QB Drew Brees did not throw a TD vs the Jets. Brees did not throw for over 200 yards vs the Jets. Most people would think he was held in check by the Jets’ defense. But I watched the game, and I came away feeling Brees exhibited his skills to the highest degree, showing the world he is a great football player as well as being a prolific passer. Brees played with the heart and courage that few quarterbacks can against the Jets’ aggressive defense. Just look at what every other QB did against the Jets (including Tom Brady)… the three previous QBs combined for a passer rating of around 50.0, and realize what Brees accomplished despite his lack of yardage and no passing TDs… 20/32 for 190 yards, completing passes to nine different receivers. But the best part has yet to be mentioned (and likely won’t be recognized by others). * Brees avoided pressure all day and was not sacked once. * Brees took monster hits while delivering passes but got each pass off and got up each time. * Brees threw a block during one of Reggie Bush’s improv runs early in the game. * Brees recovered an offensive fumble by Pierre Thomas, rising from the pile of bodies with the ball but without his helmet. * Brees drew Jets’ DT Kris Jenkins offsides with his hard count on a crucial fourth-down play, giving the Saints a fresh set of downs. * Brees ran for a first down on a designed pass play. 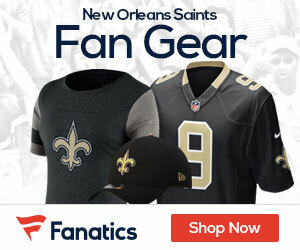 * Brees completed the best pass of the afternoon, a 17-yard strike to WR Robert Meachem, on third down, continuing what would eventually be the Saints’ only TD drive and the drive that put the nail in the coffin of the Jets, putting the Saints up by two TDs, 24-10. You could see the football player in our QB on this day, and his heart, courage, and desire inspired the rest of the offense all day but especially in the fourth quarter when the Saints needed it the most. It was a great win for our Bless You Boys… an all-around victory with statistical highlights from our defense, our running backs, and our special teams. 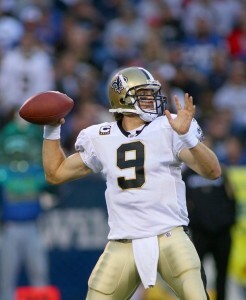 But I will certainly remember the play of Drew Brees on this day. He is usually a prolific passer, but on this day, he was simply a great football player. Great posting. I wondered if Drew would press and try too hard to keep up his great numbers. Many players want to win, but their ego is a stumbling block. But Drew has proven he will do anything to win. He is a great leader and QB.